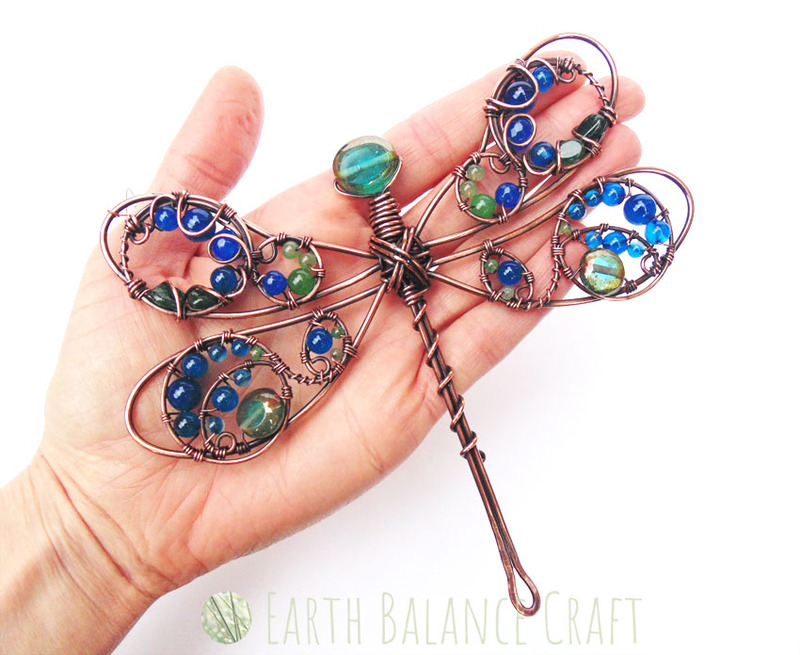 Demoiselle Dragonfly WIPS - Work in progress copper wire craft project. The majority of my designs are inspired by British species of wild life, birds and animals. 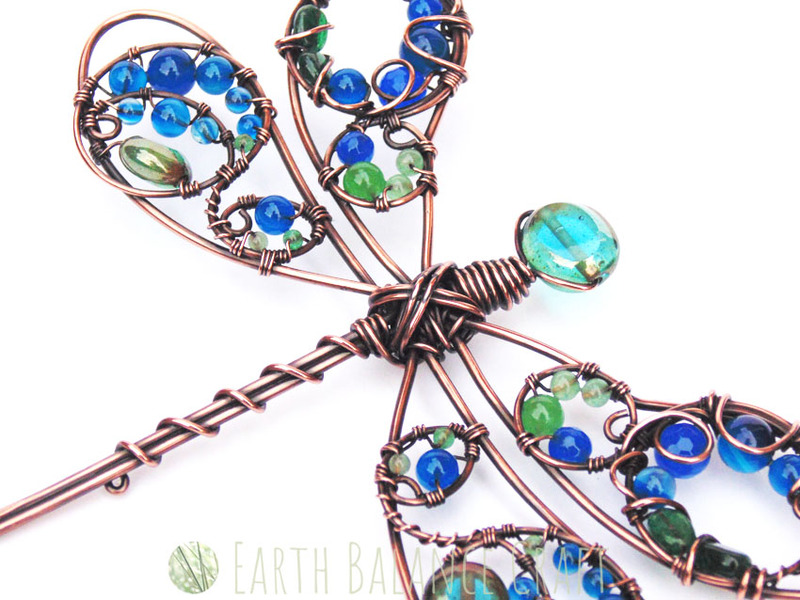 This suncatcher design takes inspiration from the azure metallic blue and green colours of the ‘Beautiful Demoiselle Dragonfly’ often found darting around rivers and streams. 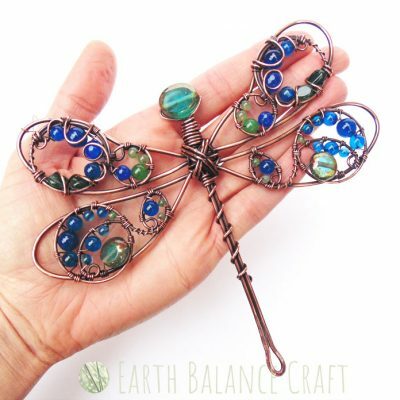 View over a handful of my work in progress photographs of this copper wire craft project. With decorative semi-precious gem stones wrapped onto the wing frames and a rustic oxidised finish that has been polished to add depth and texture. View the finished piece available to buy as a ‘made to order’ product from the webstore. 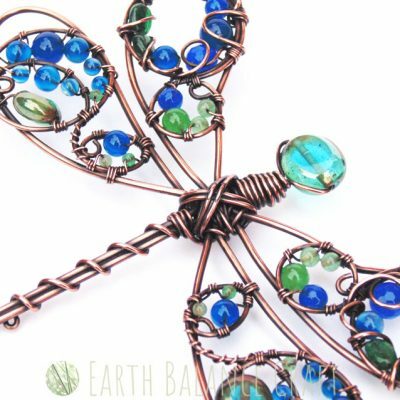 To view over a variety of other artisan copper wire-work jewellery and craft projects click here, and for my range of downloadable craft tutorials visit this page.